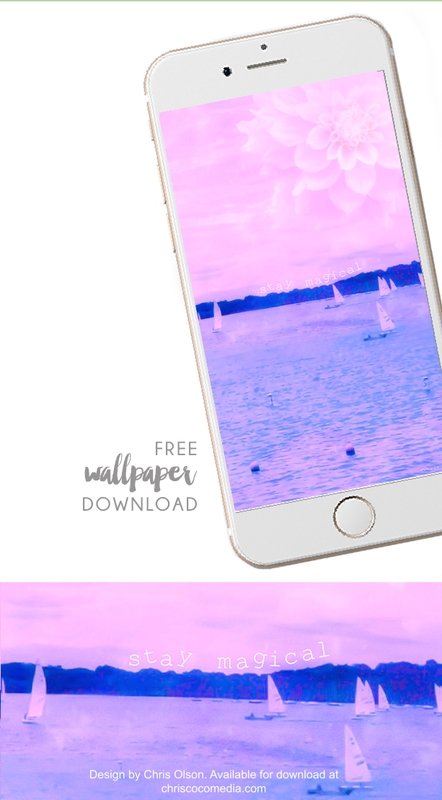 I'm celebrating summer vacations at the lake with a brand new digital wallpaper download fresh from my studio for iPhones and other smartphones. This mixed media design features two of my favorite things--the beach and flowers. Don't forget to stay magical! Click here to download the Stay Magical wallpaper by me, Chris Olson. 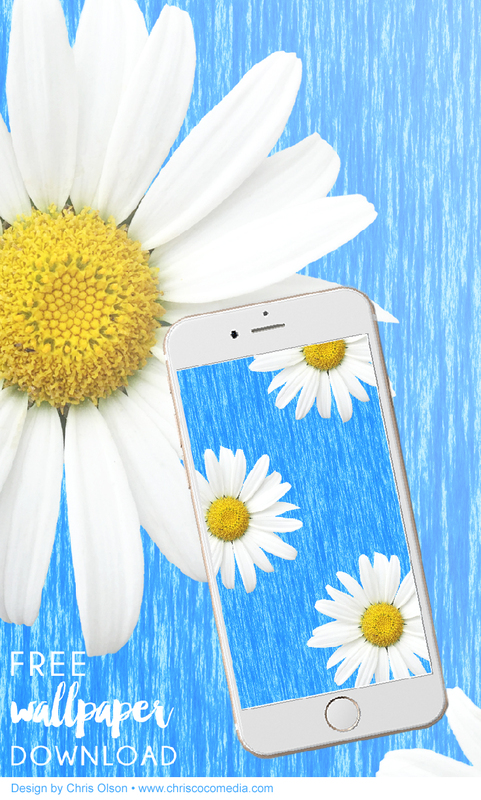 My daisy wallpaper is all about getting outside and enjoying summer -- #outsideisfree. This wallpaper is all about soaking up some vitamin D under a sunny blue sky. Enjoy! You can download the SUMMER DAISIES design here. Lovely doodle swirls and hearts in this digital wallpaper download from my sketchbook for iPhones and other smartphones. This hand drawn wallpaper with bold brushstrokes features my I Heart You design. You can download the I HEART YOU design here.